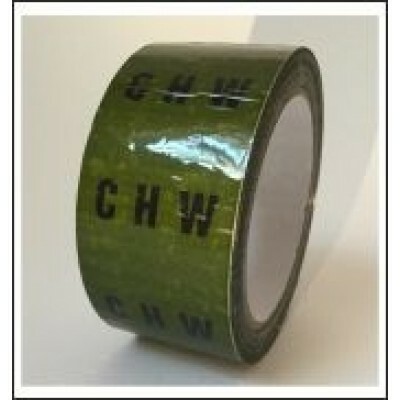 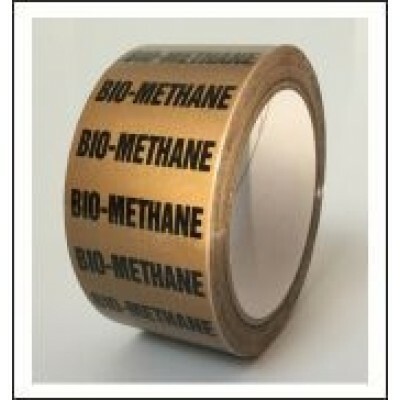 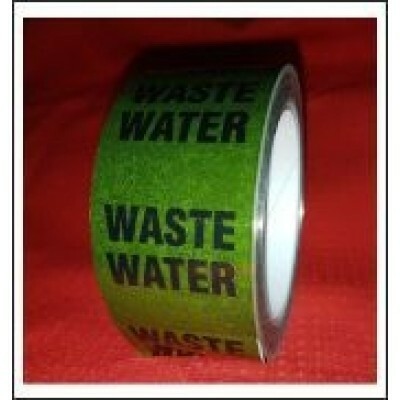 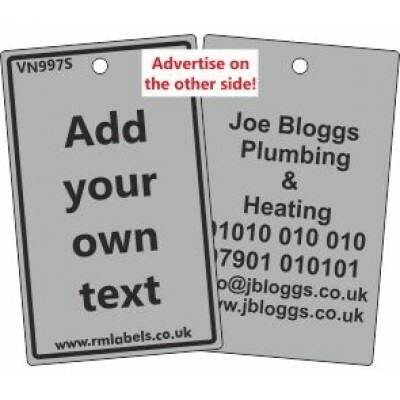 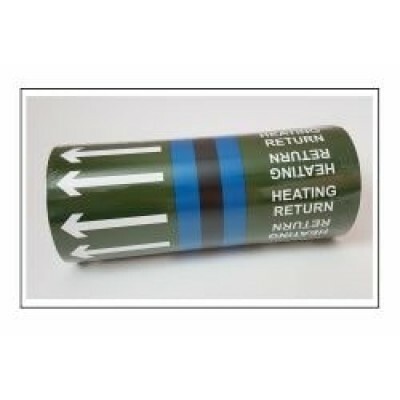 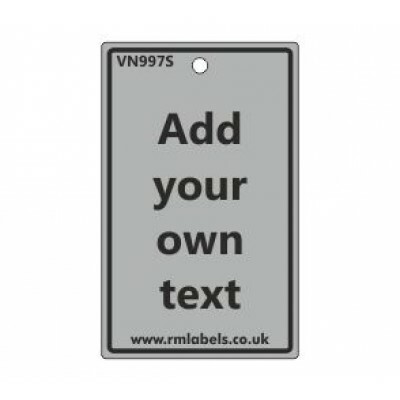 Rigid plastic gas label 54mm wide x 85mm high complete with a 100mm plastic cable tie. 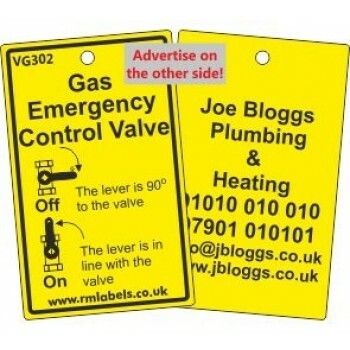 The gas valve tag has black text and a black border on a yellow background. 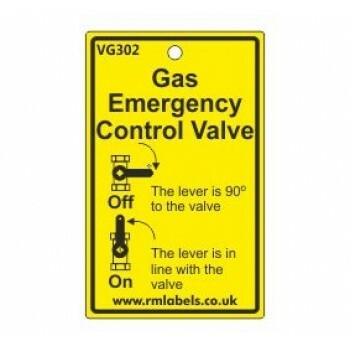 The wording on this label is Gas Emergency Control Valve. 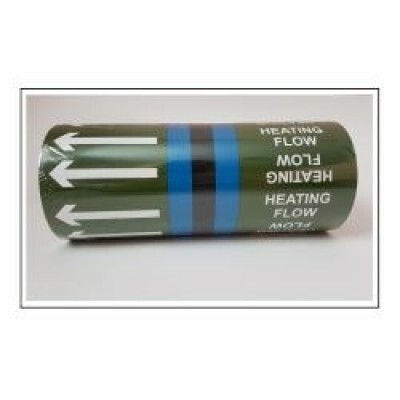 There is a pictogram showing how to turn off the valve.